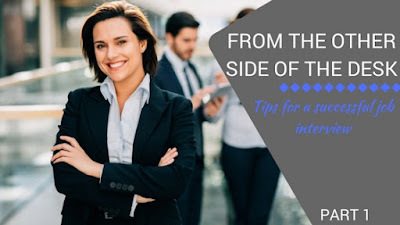 This blog is a sister to the previous 'How to Rock your Interview' Blog, discussing how to perform well in your interview and to land that dream job. To further develop the tips and advice that ESSEC Business School can give you to be successful in your interview endeavours, one of our very own, Lucia Casagranda, has had the opportunity to gain in on some secrets from the HR director and headhunter of PWC (PricewaterhouseCoopers). Here the advice she has been able to compile for the yoda of HR himself, Mr. Edward Bryant - so, read on, grab your pencil for some notes, and go get 'em tiger. Congrats, you’ve been called to sit a job interview! Now keep calm and don’t stress, as only 4-5% of applicants are called to sit the interview. Now it’s time to demonstrate what you can do for the employer. Your focus, from now on, is how to impress the employer and show what you can do for them not the other way around! "...only 4-5% of applicants are called to sit the interview"
Are you ready to convince the interviewer that you are the best person for that job? Then, follow these tips and keep in mind that the interview is not a challenge but a way to demonstrate your value! In this first part, we will focus on what employers want and how you can best prepare for your interview. In part 2 we will give you tips on how to behave and what to do on the day of the interview, as well as hints about what to avoid. Motivation for the role: are you passionate and enthusiastic about the role? Can you adapt and adopt the organization’s vision? Can you fit into the team? Do you have the soft skills, social skills, empathy needed? These are things that you don’t learn at school or at university! Do you have the skills abilities to do the work? Evaluate not only current skills, but you’re your ability to develop them. Logistics - what type of interview will it be? How much time will it take? You need to be aware of what the program is for the day, and try find out who are the people who will interview you. Moreover, don’t be late, as this will show a lack of responsibility and interest towards the post. Self-assessment: You are the product that you are selling, thus you have to know yourself. It is important, thus, to carefully review what you know and what you want. “You are the product that you are selling, thus you have to know yourself”. - Your skills: what are you good at? Ask yourself: “What are my greatest accomplishments?” Make a list and then try to find common threads to see which were your skills and which were your interests. Moreover, define which are your strengths and your weaknesses. - Your interests: what do you enjoy? - Your values: what is important in your life? Is it helping other people? Work-life balance? Or rather appreciation and power? Examples of questions to be asked are: Where do you see yourself in 5 years? What do you want to do in life? What are your values? What is important to you? It is also important to learn and identify your gaps. An effective way to tackle questions on experience or competences you don’t have yet is: “I don’t have this particular competence that you need, but I talked to / took a course / read about / went to conference… and learnt that ….”. "It is important to learn and identify your gaps." Do your homework: It is important that you research about the company, about the sector and about the job. Here are some tips! Look at the website of the company: look at the publications, annual reports, publications, intelligence reports not only of that company but of others in the sector. Know the Job description: if you don’t have it, ask for it! Which are the competencies required for the specific job? Learn about who are the key posts at the company, who is the competition, learn about market trends, numbers and figures. Practice practice practice… and get feedback!